Since Nintendo 64, I haven’t been excited about a technological device until arguably the best invention of the 21st Century was created…The IPAD! Everyone should know by now how Apple, through the innovative leadership of the late Steve Jobs is literally changing the way we do things. 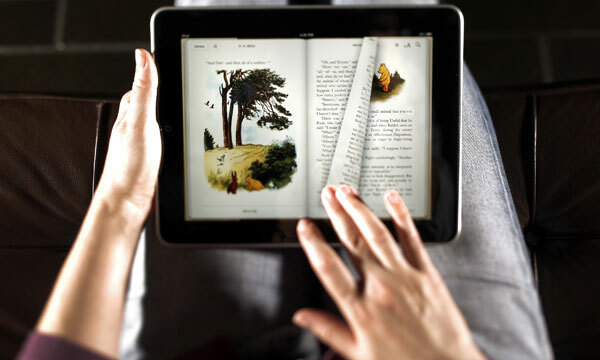 Education is considering replacing textbooks with IPADs. Less and less people take Bibles and notepads to church today because they have an IPAD or iPhone. Businesses conduct transactions via the IPAD. Between boredom and excitement, an IPAD can even make wasting time interesting. We get to stay connected while being mobile thanks to this nifty gadget. What blows me away is the simplicity of its design. Jobs was able to take the complicated and make it so simple, even my 5 month old daughter can work her way around it! Now why am I glorifying the IPAD? For two reasons. If you have an IPAD, you can download my new book “The Jesus Mind” and read it lol…But furthermore, check out the revelation behind this work. Now not only is it called an “IPAD” but it is called an “ITablet”. What if this genius work was really a work any of us could have designed? What if Jobs and tapped in the “JESUS MIND” and simply re-discovered innovation God designed centuries ago? God created the first IPAD! The two TABLETS of stones he used His finger to write the laws on and gave to MOSES!! Swipe, type and inscribe! I don’t know if Jobs intentionally realized his innovative design was inspired by the technology of God but it should make us wonder…what if inside of the Word of God, there are even more innovative ideas and secrets that the world is in need of? I believe there are and God is looking for more people to birth His ideas into the Earth through. When you put on the “The Jesus Mind,” you can tap into the wisdom and intelligence of an omniscient, all-wise, all-knowing God and receive witty ideas and inventions that can help change the world. Steve Jobs did it. Whether he acknowledged it was God or not. Pray for the Jesus Mind, or the mind of Christ and be on the look out for the next big thing that could help turn our world upside down…or right-side up!